High quality stylish matte silver retractable brush measures 23 mm in diameter and 12.5 cm in length. Handy cover also makes this a great mess free brush to bring on the go. 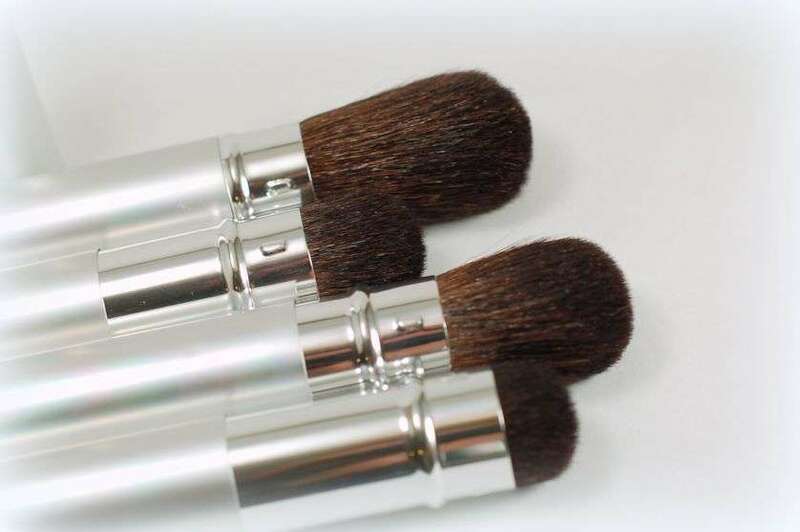 Only one brush per quantity in cart. 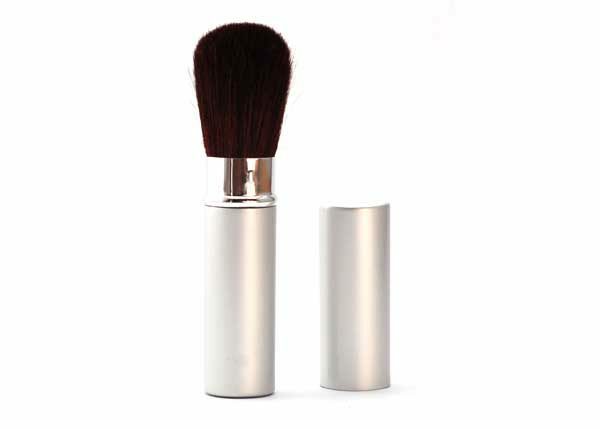 High quality stylish matte silver retractable brush measures 23 mm in diameter and 12.5 cm in length. 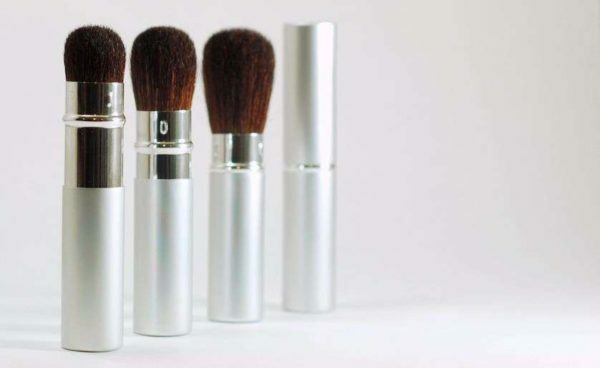 A flawless application starts with the right tools. This top rated professional Total Control Retractable Brush will help you easily achieve professional looking results at home. 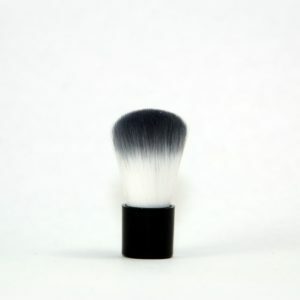 The natural bristles pick up powder products and provides an even, natural looking finish. This versatile brush can meet most of your cosmetic needs by sliding the retractable sleeve up to make the bristles tighter for seamless blending, or down for a more smooth finish. Removable cap protects brush hairs and provides mess-free storage. Don’t just take our word for it – try it out for yourself! (Please note the handle does not hold loose powder. 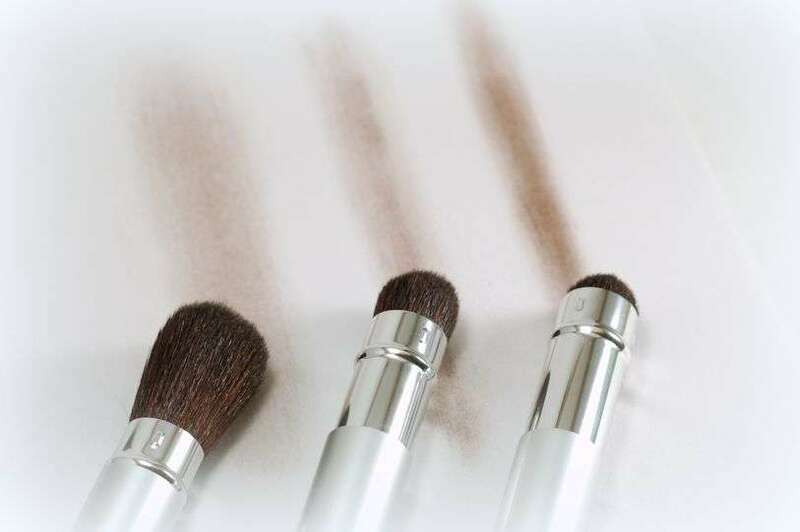 You dip this brush in the Saving Grace powder container).